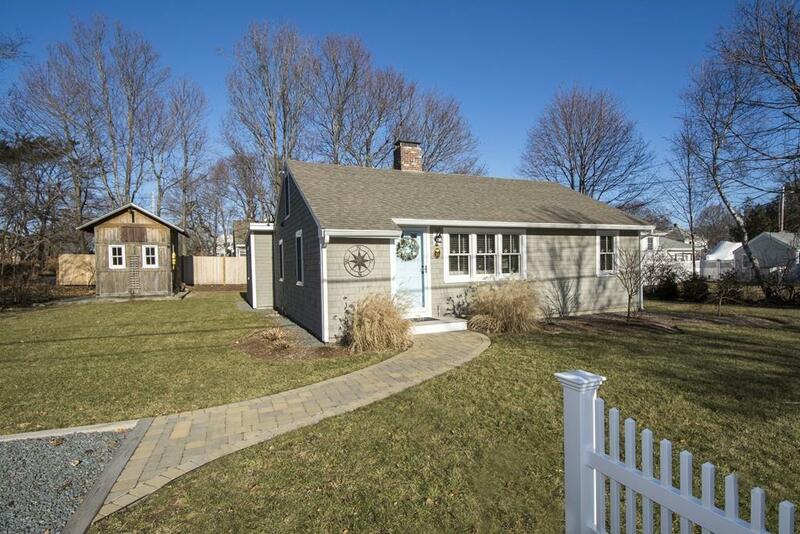 Beautifully renovated, picture postcard ranch welcomes you home to Scituateâs Sand Hills neighborhood! Delight in the abundance of year round natural light, gleaming hardwood floors, sparkling glass tile backsplash and coastal inspired style! This home has been updated from top to bottom and includes a new Navien gas burner, central air, whole house water filter, expanded bathroom with double vanity and marble countertop, fresh paint throughout, granite kitchen counters & SS Appliances. The yard has been professionally landscaped with a new white picket fence in front and cedar fencing out back. Pink roses and other seasonal blooms fill the garden beds for warm weather enjoyment and in the backyard there is a large workshop/storage shed along with a fire pit for toasting marshmallows! There is nothing to do but move in and enjoy the salty breezes and the Sand Hills lifestyle! Welcome Home! Not in the flood zone!